The Asian Human Rights Commission (AHRC) regrets to inform you that three persons who were illegally arrested and detained after the September 2007 protests in Burma, including two on whom we have issued appeals already, have again had time added to their jail terms. The additional case lodged against the three under a new electronic communications law is without basis as the three never had any contact or relationship with one another. As we reported previously, both Win Maw (AHRC-UAC-200-2008) and Zaw Min (AHRC-UAC-223-2008) were given jail terms for supposedly sending “false” news abroad during the September 2007 monk-led mass protests against military dictatorship in Burma. Yesterday, 5 March 2009 the two men together with another man, Aung Zaw Oo, a member of the Human Rights Defenders and Promoters group that the authorities in Burma have systematically targetted, were again sentenced in a closed hearing without legal counsel inside the central prison, this time under a new catch-anything electronic transactions law, and were sentenced to an additional 10 years each. Aung Zaw Oo had already been handed 11 years for a number of alleged offences. The case against the three men is absurd because they had no relationship with one another upon which to launch a case on this basis. After their sentencing last year the three had been kept in different prisons and were brought together for the purposes of the farcical trial yesterday. The AHRC has been documenting cases of illegal arrest, detention and prosecution since the nationwide protests in Burma during September 2007 and a year after those events its sister organisation issued a special report, “Saffron Revolution imprisoned, law denied” (article 2, vol. 7, no. 3) detailing many of these cases. Since then, it has issued appeals on a number of other cases and made related statements at a time that a very large number of these cases were disposed of through the courts, including most recently 14 persons convicted over supposedly throwing rocks at security forces (AHRC-UAC-004-2009), and 13 persons convicted over allegedly being part of an illegal organization (AHRC-UAC-002-009), blogger Nay Phone Latt (AHRC-UAU-070-2008), monk U Gambira and ten others (AHRC-UAC-248-2008), political activist Daw Win Mya Mya and four others (AHRC-UAC-246-2008), Zaw Min, charged with sending news abroad (AHRC-UAC-223-2008) and the related case of comedian Zarganar (AHRC-UAU-061-2008). The increase in penalties for some detainees like the three mentioned in this update follows reductions on appeal for some, including 28-year-old blogger Nay Phone Latt, whose sentence of 20-and-a-half years was shortened by eight-and-a-half years to 12 years. Many members of the Human Rights Defenders and Promoters group have been targetted and imprisoned over the September 2007 protests and other things as well, including its chairman, U Myint Aye, who has been accused of terrorism: AHRC-UAC-183-2008; see also UPI Asia Online. See also the comprehensive report on Burma: “Burma, political psychosis and legal dementia” issued by the AHRCs sister organisation and the 2008 AHRC Human Rights Report chapter on Burma. Please write to the persons listed below to call for the groundless legal actions against Win Maw, Zaw Min and Aung Zaw Oo to be dropped. Please note that for the purpose of the letter, the country should be referred to by its official title of Myanmar, rather than Burma, and Rangoon, Yangon. 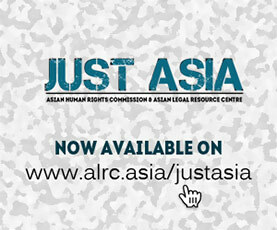 Please be informed that the AHRC is writing a separate letter to the UN Special Rapporteurs on Myanmar and independence of judges and lawyers as well as the UN Special Representative on human rights defenders, the UN Working Group on arbitrary detention and the regional human rights office for Southeast Asia, calling for interventions into this case. I am shocked to hear that the legal system in Myanmar, which already suffers from one of the worst reputations in the world, has again sunk to a new low by throwing together three men who had no relationship with one another for the purpose of imprisoning them for a decade on top of the sentences that they had already received. According to the information that has been brought to my attention, the three whose names and details are given above, Win Maw, Zaw Min and Aung Zaw Oo had already been convicted for supposed offences at the time of the 2007 demonstrations in Myanmar, the first two for sending “false” news abroad and the last for a range of alleged crimes. However, apparently not satisfied with the sentences from last year, which came on top of the extended periods of illegal and arbitrary imprisonment that the three had already suffered, the authorities brought the three of them together for the purposes of sentencing them to another term. Not only was it necessary to bring an empty case against the three men under an empty law, but it was also necessary to empty the court of lawyers and onlookers beforehand, which was not difficult as the so-called trial and sentencing, I am informed, took place inside the central prison itself, in violation of the Judiciary Law 2000, section 2(e). In light of the patent absurdity of this case, I call for all concerned parties, including the Attorney General, to review it at once and see to it that these victims of gross injustice be released without any more delay. I also call for the cessation of other similarly frivolous, flawed and vengeful legal actions against persons in Myanmar associated with the 2007 protests and with the defence of human rights, including the members of the Human Rights Defenders and Promoters group. Finally, I take this opportunity to remind the Government of Myanmar of the need to allow the International Committee of the Red Cross access to places of detention and not least of all, access to those persons and forcibly disrobed monks and nuns who have been held in violation of criminal procedure and without charge or trial since the events of last September.